Just a reminder that the Transition Bikes "Name The Frame" Contest closes tomorrow night, January 31st at midnight pacific time. If you haven't yet entered, submit your name and good luck, the winner who enters the chosen name first gets a copy of Transition's upcoming hardtail and all the bragging rights of having named the frame! News Exclusive: Traces of litter found on Mars!! Jan 30th 2004 - Breaking news. It appears NASA took the decision late last night to put on hold the Mars Exploration project. This immediately after Rover transmitted 77 images of litter on Mars!!! NASA Scientists are baffled and currently busy studying these rare and unexplained images. Continuing its support of performance mountain biking SRAM Corporation has signed on to be the official drivetrain supplier to the world’s definitive mountain bike park – Whistler. The Park is located in the Coastal Mountain Range 1 1/2 hours North of Vancouver in British Columbia, Canada. 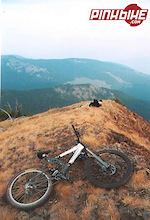 Whistler is the established world leader in mountain biking facilities, programming, events, and trail design. 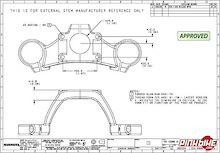 SRAM has received a number of inquiries lately regarding RockShox fork and disc brake rotor sizes. Following is a list of all RockShox fork platforms and the maximum recommended disc brake rotor size. Xtreme Sports Talent has joined forces with Freeride Entertainment to create a documentry style movie, based on Cedric Gracia. This film, appropriately named the Gracia Gong Show, will depict the unique lifestyle and personality of this professional mountain biker. We have combined seven years of stock footage from the Freeride team, along with personal footage from both Cedric and friends, to make this project a reality. Editing is under way and we are pushing for a premier at the Sea Otter Classic. Going hand in hand with the theme of the movie, Xtreme Sports Talent along with the sponsors of the film, will be hosting a party at this season opening event. Creston, BC, January 28, 2004 --- The Columbia Brewery announced this week the introduction of the first beer bottle series designed to celebrate and promote British Columbia mountain resorts. The Kokanee "Signature Mountain Series" will feature seven B.C. ski mountains randomly displayed on 12 million specially labeled Kokanee bottles, encouraging beer drinkers to visit North America's leading ski destinations, including Panorama Mountain Village, Whistler Blackcomb, Sun Peaks Resort, Fernie, Big White Ski Resort and Mount Washington. Just got this e-mail from Jas at Perth Mountain Bike Club to give us some background on the John Waddell Fundraising race that is to be held in Perth Western Australia over the 7th and 8th of Feb.
Was just reading on Niki Gudex's site that she recently signed with Intense Cycles. Congratulations and best of luck for this upcoming season! January 25th - Due to the extremely cold weather currently experienced in the city of Calgary today, the race organizers for the Winter Fat Tire Races have decided to cancel the event. Our good friends at Farkin.net did a great interview ala Littermag with none other than the current World Cup DH Champion Nathan Rennie. Enjoy!! The Red Bull Rampage is back and is unlike anything you’ve seen before! You will be on the edge of your seat as the best freeriders and DH racers on the planet attack the demanding terrain, technical lines, and big air that have become synominous with riding in Virgin, Utah. Available at Pinkbike March 1st! Gravity-defying stunts, adrenaline-fired drops, tricked out airs, log rides, and elevated “skinnies”. Mix in a healthy dose of enthusiasm, passion for mountain biking, and informative “how-to” sessions covering everything from mechanical tips to pedal kicks, and you’ve got the successful formulae behind the 2004 edition of the North Shore Freeride Demonstration Team (NSFT). New Pre-production Long Travel Bike From Intense. Intense finished testing and pre-production work on its long-awaited big-drop trailbike. The V8, is designed around the patented VPP (Virtual Pivot Point) dual-link suspension, and uses a Fifth Element stable platform shock to provide a pedaling platform that rivals a cross-country chassis. La Habra, CA - Greasy Comb a La Habra, California based company picked up Revell Bikes just prior to the Interbike show and will be the exclusive importer and distributor for North America. 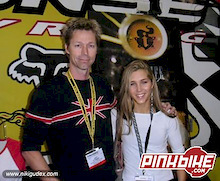 THE 2004 BIKE EXPO RETURNS TO BC PLACE FEBRUARY 13-15, 2004! Are you ready to kick-start your Spring and ride into some action? 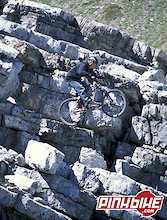 Don't miss the 2004 Advil Outdoor Adventure Show where the ever-popular Bike Expo will be bigger and better than ever! More bike exhibitors, more manufacturers, and more heart-pounding action from the Indoor North Shore Challenge & Big Air Jam Session! Yesterday, USA Cycling announced the qualification procedures and guidelines for the newly created 2004 U.S. National Mountain Bike Championships in Mammoth, Calif., Sept. 23-26. Announced last October, the one-day format will replace the traditional design of a season-long series to determine the U.S. National Mountain Bike Champion in several events and categories. Team Yeti announced yesterday that it has signed a new crop of young, fast racers for the 2004 race season. "We are very excited to keep with Yeti tradition by signing young riders with great potential," said Chris Conroy, Yeti Cycles' president. Mountain bike groups looking to develop technical riding will soon benefit from a new grant program focused on building challenging trails. 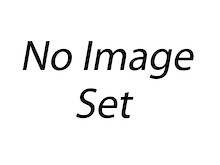 In 2004, Kona Bicycle Company and the International Mountain Bicycling Association (IMBA) will award five cash grants to fund the development of freeriding, downhilling, and dirt jumping projects. 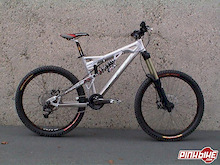 Snipes Bicycles was founded in 2000 in Victoria, British Columbia. The company has striven to engineer high-end hard-tail frames. 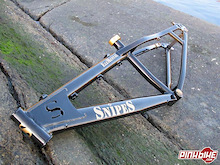 Riders familiar with Snipes will recognize previously released frames such as the ‘30-06’ and ‘7mm’. Snipes is touting the newest incarnation as “the next step up on the evolutionary ladder to perfection.” Enter the 2004 Snipes ‘Elemental’. Cove Bikes will add Northern Ireland native Glyn O’Brien to its growing list of superstars. O’Brien will represent the Cove on an International basis for the 2004/05 season. This year's North Shore Indoor MTB Challange will prove to be the most exciting, flow-filled, race to date incorperating all aspects of North Shore riding including skinnies, teeter-totters, drops, and jumps. The format will be the same as previous years with the race taking place entirely within the viewing area. One of the major changes this year will be the re-introduction of the "Industry" relay. The Industry relay will take the place of the "Pro" category. Teams will consist of three individuals and will be designed to maximum fun and excitement for riders and viewers alike. Nordic Ride is Scandinavia’s first freerider film. 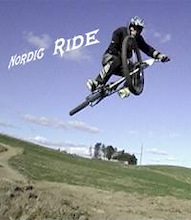 The movie is due for release in Spring 2004 and features riders from Sweden, Finland, Norway and Denmark in a number of locations across the Nordics, including Mountain Mayhem, the location for northern Europe’s largest freeride festival, and the very same place New World Disorder came to shoot footage for Ride the Lightning. After a great day of riding on Fromme, Saturday night we headed to Chilliwack to get an early start on Vedder Sunday morning. Too bad when we woke up our bikes and gear were stolen from the truck parked in a driveway of a buddy's house. Keep a look out for the following bikes. Santa Cruz Bullits, one blue with a Boxxer World Cup (with a dent on the underneath of the downtube), and one Green with a black rear triangle on bombers. Thanks to Ryan over at Farkin.net for pointing me to this great article in The West Australian newspaper about Waddell's recovery. Although it's going to be a long road to recovery for John, it's comforting to hear that he is making good progress. Hang in there John! 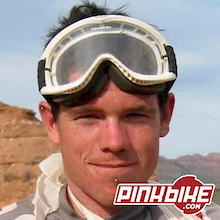 You hold a place in our hearts, and everyone here at Pinkbike.com is wishing you the best of luck!! 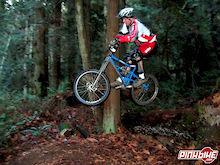 A bunch of new long awaited movies are now in stock at Pinkbike. As always all in stock products ship the same day. Head First Productions out with the second installment of the 'Run for your Life' series that will simply blow your mind. Just when you think you've seen it all, you get to see the worlds top dawgs throwing down stunts with style and see the lifestyles of the boys. The star-studded cast includes the likes of Darren Bearclaw, Tyler Klassen, Wade Simmons, Thomas Vanderham, Jordie Lunn, Aaron Chase...the list goes. Click here to catch a little tease of the DVD. Transition Bikes Name The Frame Giveaway Contest! Rider owned bike company, Transition Bikes, in the true spirit of democracy, is letting riders like you decide the name of their new hardtail mountain bike frame. The contest winner who comes up with the winning name first will win a new frame and swag but will also have the lifetime prestige of having the name they chose immortalized on the top tube. Runners up will also receive Transition Bikes swag and have their “close but not quite” names posted on Pinkbike.com for all to see. The contest is being run exclusively here at Pinkbike.com and will last approximately two weeks. There are so many types of bike on the market that it makes me frustrated. What is "THE" bike to be riding ? The factors that influence this are pretty broad, but some important ones are your riding location, body type and style, money situation, and personal preferences. There's just so many freakin' bikes out there - In the last year I've put time on so many bikes and every one is so good... it is a dilemma. 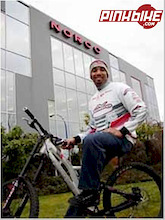 January 15, 2004, Port Coquitlam, BC—Norco Performance Bikes, one of North America’s leading producers of high quality mountain bikes, components, and clothing, is proud to announce that Shaums March will be riding for the 2004 Norco Factory Team. Madison, Wisconsin -- Pacific Cycles announced today that it is being acquired by Montreal-based Dorel Industries Ltd. (TSX: DII.A, DII.B; NASDAQ: DIIBF), a global supplier of juvenile and home furnishing products. Chicago, IL – SRAM Corporation is pleased to announce the signing of a Letter of Intent to purchase Avid LLC. Avid is widely recognized as the technology and performance leader in braking systems, and this acquisition furthers SRAM’s goal of providing a full component group to the bike industry. SRAM is proud to announce a RockShox standard for direct mounting stems to Boxxer upper crowns. In a brief "state-of-NORBA" conversation with series co-director Jeff Frost this week, he conceded that the "tough sponsorship climate has not changed," making the prospect of prize money at all eight races very unlikely. 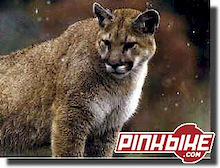 Yesterday a two-year-old Mountain Lion was shot and killed after two mountain bikers were attacked in the Orange County hills. There is still no evidence that this was indeed the wild cat responsible for the attacks. So far, with great success, two separate bike camps have already been run by Giant Canada’s Eric Goss. Goss spearheaded the program along with some other cyclists while they worked in cooperation with the School System. Naughty! Back in mid December we were having one hell of a bunch of nice weather, and both I and Savoie were out of bikes waiting for our .243 racing gear to arrive so we could ride. Bleed was the day that it finally came! Here is the new schedule for the remaining episodes on sportsnet. Hope you like how the tour winds up! Norco Performance Bikes, one of North America's leading producers of high quality mountain bikes, components, and clothing, is proud to announce that Vancouver Island home boy Mike Jones will be racing for Norco Performance Bikes for a third consecutive year. Over 200 people are already signed up to participate in the 3rd annual TransRockies Challenge, the world’s toughest mountain bike race! 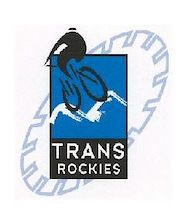 Based on the hugely successful TransAlp Challenge in Europe, the TransRockies Challenge is the ultimate adventure mountain bike race in North America. 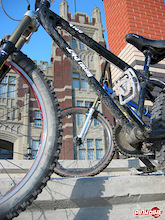 Plans for the 2004 UCI World Cup and Bike Calgary Festival are well under way! Make plans to join the world's top mountain bikers July 1 - 4 at Canada Olympic Park, Calgary. UCI competitions in 4X, Downhill and X-Country promise to provide an exciting preview of the 2004 Olympic mountain bike events. As the New Year starts, so does the new racing season. 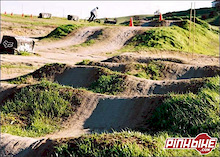 Want to get ready for Sea Otter? Well this is your chance! 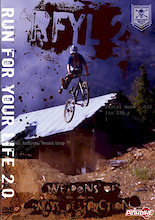 Sand Hill Ranch just announced their 2004 Spring Gravity Series dates. Top UK online newspaper Guardian Unlimited just announced the winners of their third GU Sports Personality of the Year. This one was the closest yet! But at last there is a winner ... step forward, Dave Watson! Mike Just got word from a reliable source that dirt's beginning to be shaped, booths are being erected and things are looking good at the Calgary Outdoor Adventure Show. The show opens to the public tomorrow at 4pm, and of course you should be sure to stop by the Pinkbike booth. Radek's bringing the Big Screen TV, our entire collection of DVD's and videos and I've heard rumor of special appearances by MPF and Drop In stars, Dylan Tremblay, Mike Kinrade and Byron Grey. I'll be stepping in the show later this afternoon, and I'll try my damndest to shoot some photos that'll whet your appetite. Visit the Outdoor Show page for registration forms and an event schedule! See you at the show! Check Out The Preview Pictures Here! For the next two years bike racing fans can expect to see one of the hottest teams riding one of the hottest bikes and featuring some of the hottest components – did we mention this is hot? The Santa Cruz Syndicate team (SCS) will be home to some of the world’s fastest riders and will feature SRAM and RockShox drivetrain and suspension. The Red Bull Ride remains involved with the mountain bike world with a donation of $1200 recently being made to John Waddell by Zest Productions, the event management and video/dvd distribution group. The money has come from 2003/04 video sales made in Australia – in 2002/03 a similar amount was donated to the Australian junior downhill team. Everyone, including ourselves, are slowly returning from the Holidays, so to get this year off to a great start, here is the Dropin TV full season teaser. Some of the coolest shots, location and moments. It seems that when I travel outside of Alberta I always see some new, cool product that isn’t available at home. I am always anxious to try it out and see it become available in my local bike stores. 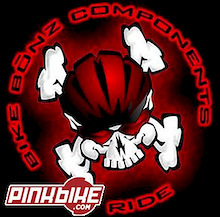 This was the case with Bikebonz products. I was in On Top Bike Shop in Vancouver one day and noticed the Bonz Brake Triggers. I contacted Terry from Bikebonz, and he graciously sent me 3 pairs of triggers to test.